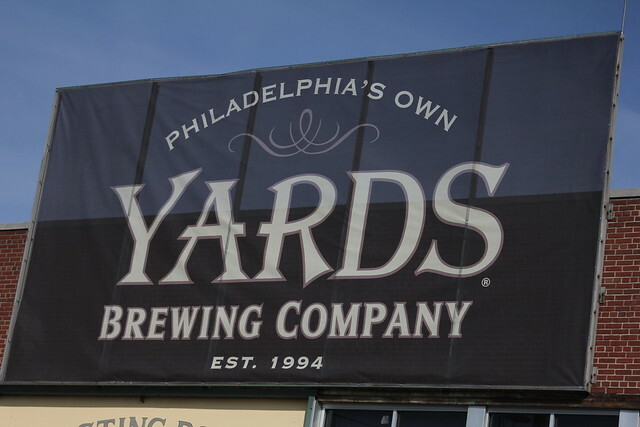 I took a little trip down to Philly yesterday with my buddy Mark to check out Yards Brewing Company. 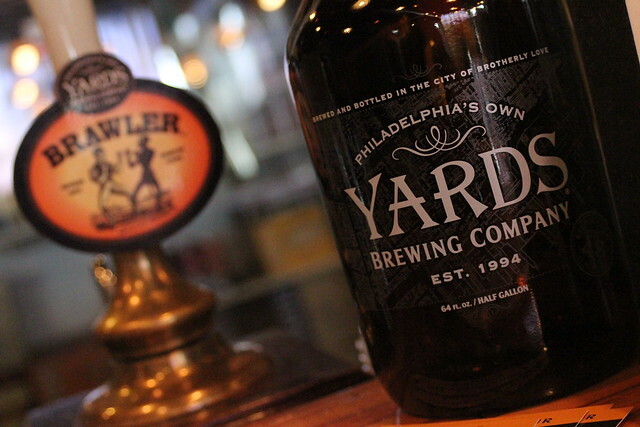 Yards has been serving up craft beer for the drinkers of Philadelphia and its surrounding markets for over a decade. 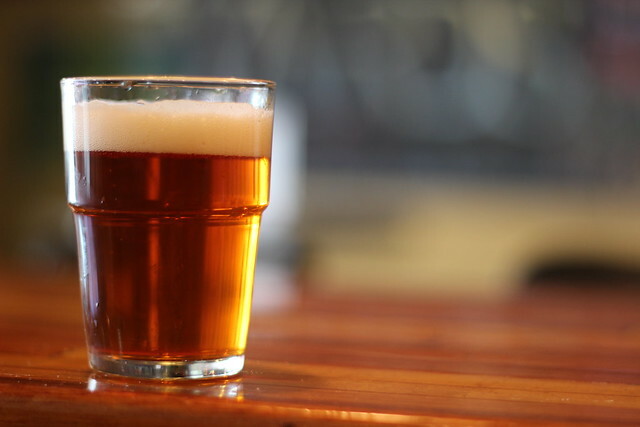 An avid beer lover, owner Tom Kehoe started brewing in college with his good friend, Jon Bovit. 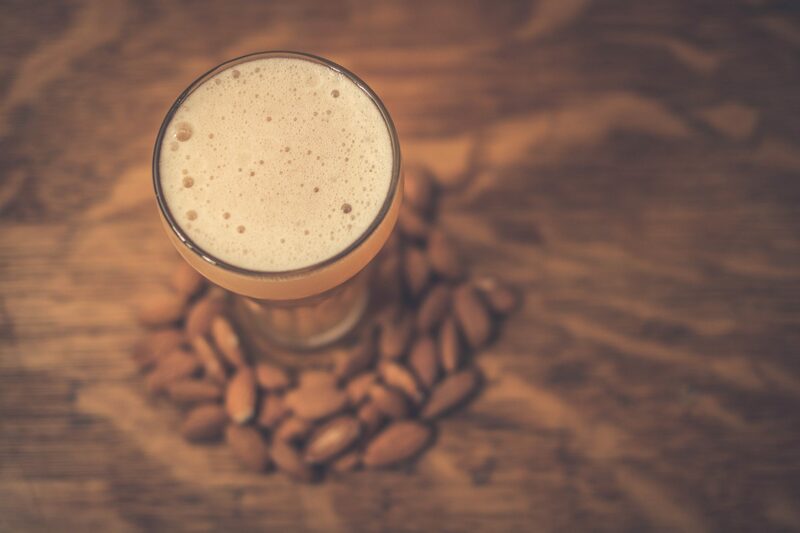 After eventually getting a job in the early 90’s at a small English-style brewery in Maryland, Tom and Jon decided they could go on their own and start their own brewery. 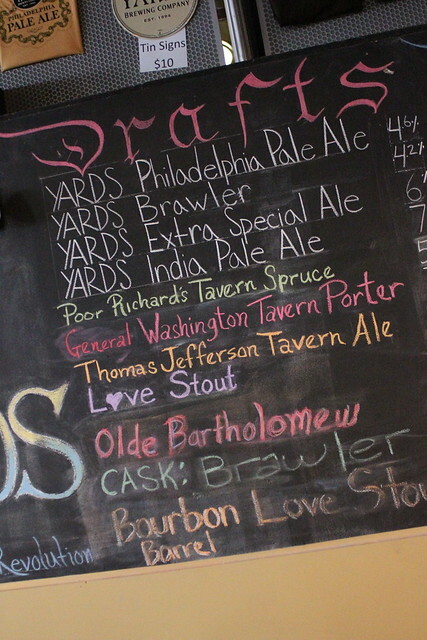 After dumping all they had into the business and moving locations several times, Yards finally settled in the Northern Liberties section of Philadelphia, where Tom and his brewers continue to turn out some awesome brews. We spent a few hours with Tom talking about Yards, the beer industry, and of course sampling some of Philly’s finest beer. 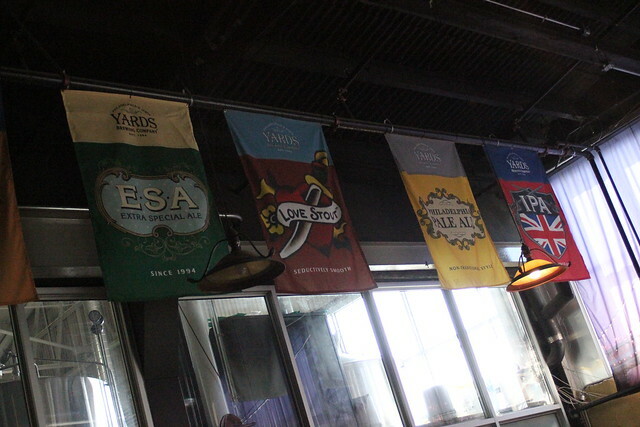 We were greeted in the tasting room by Tom, and I couldn’t help but notice these tapestries hanging from the rafters. They had one for each label of the beers they brew. 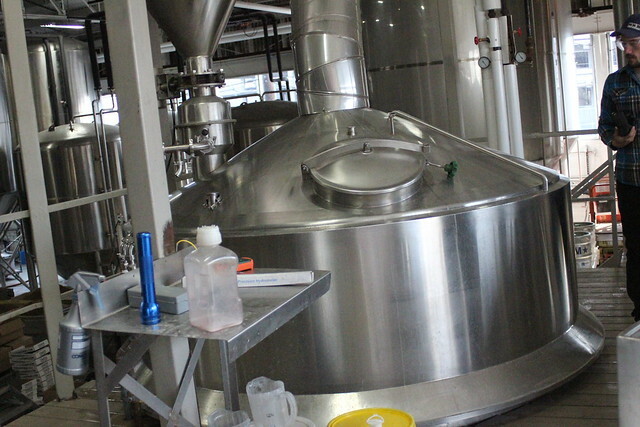 You can’t brew beer without the necessary equipment. 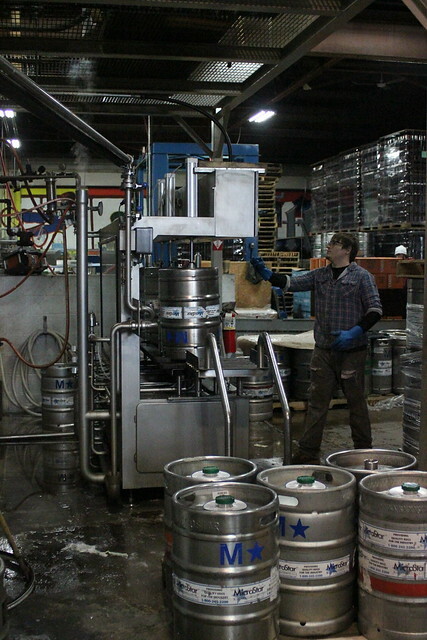 No action was happening (unfortunately) as they had brewed the night before. 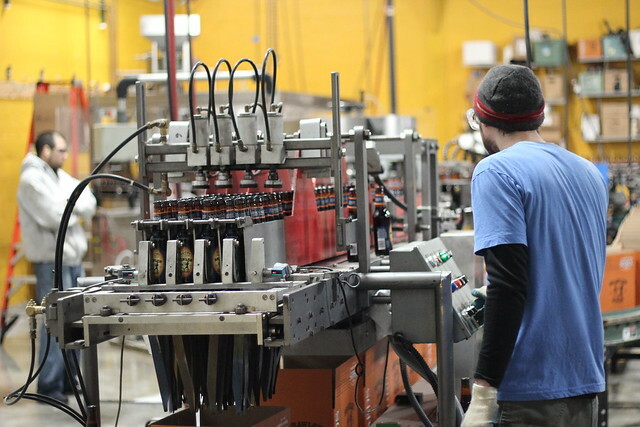 – to the bottling and packing of the latest shipment of Brawler. 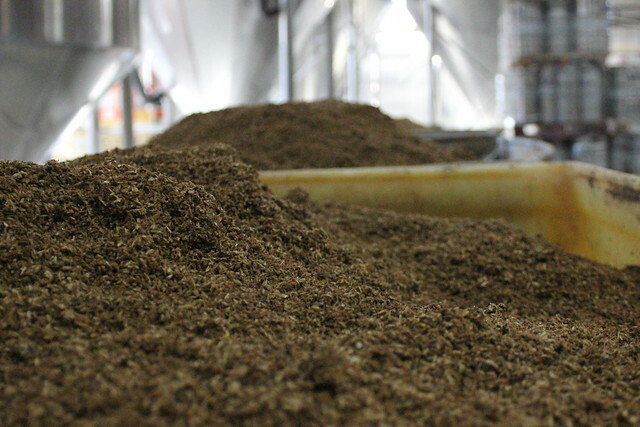 Every brewery has their spent grains. Yards sends theirs to a local bison farm which supplies the meat for the chili they serve in the tasting room. 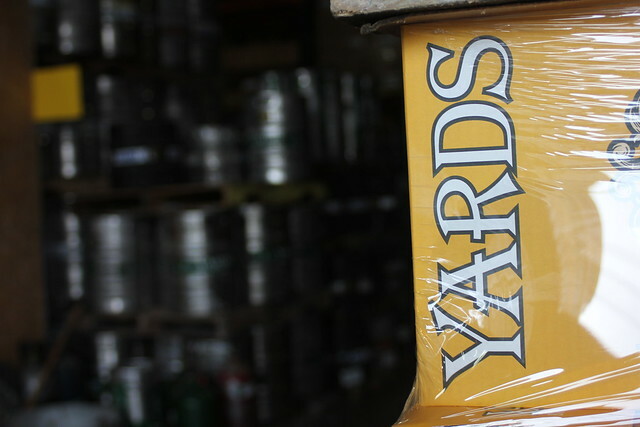 Aside from kegging and bottling, Yards has a huge cask program sure to please all the firkin heads out there. 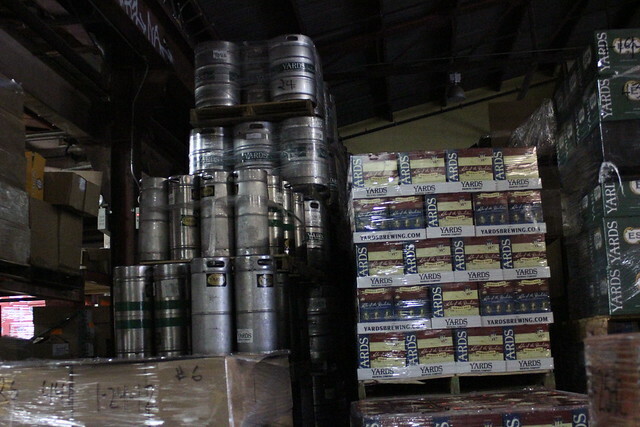 An out-going shipment; my god, that is a lot of beer. 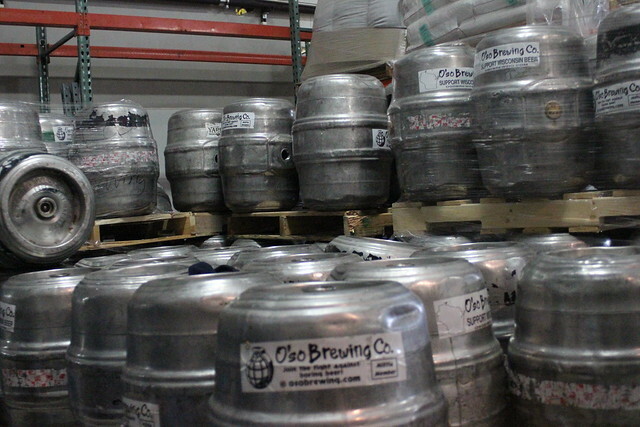 After Tom showed us around, it was time to head back to the tasting room and sample some of the brews. 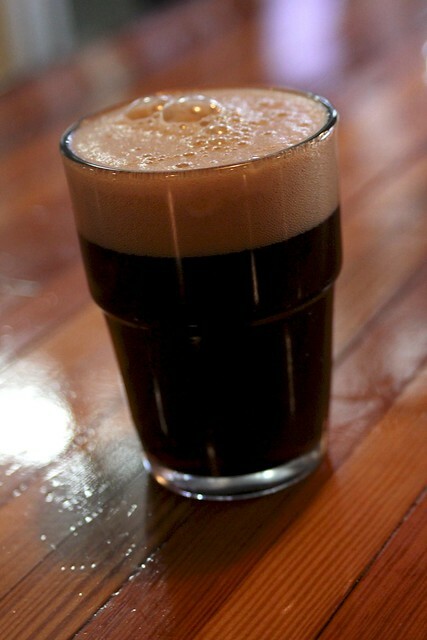 We started out with Brawler, which is an English mild and one hell of a session beer. I couldn’t help but to notice the food menu. 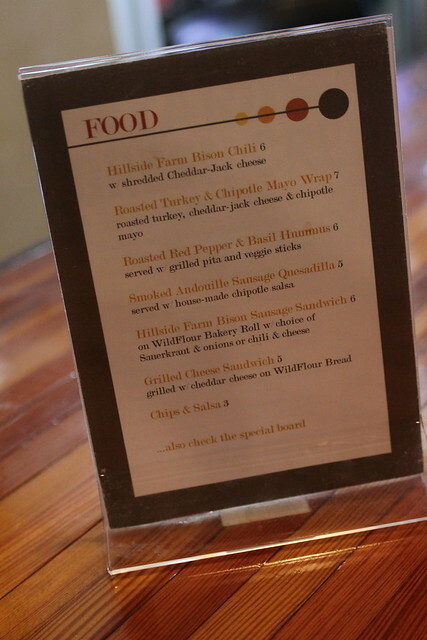 No crazy entrees – just nice little dishes to have while grabbing a beer. It was cool to see a straight line of Yards’ tap handles. 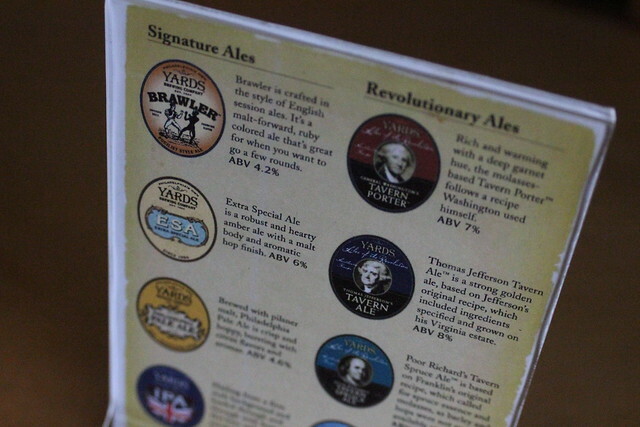 I had to try one of the Ales Of Revolution: Tavern Porter. Growler fills are encouraged here. 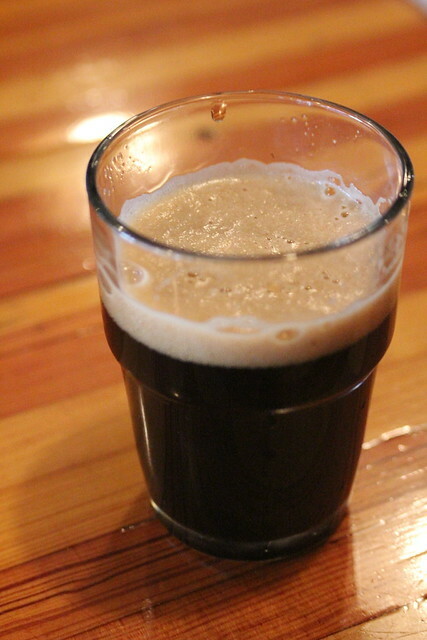 One last beer, a bourbon barrel Love Stout. 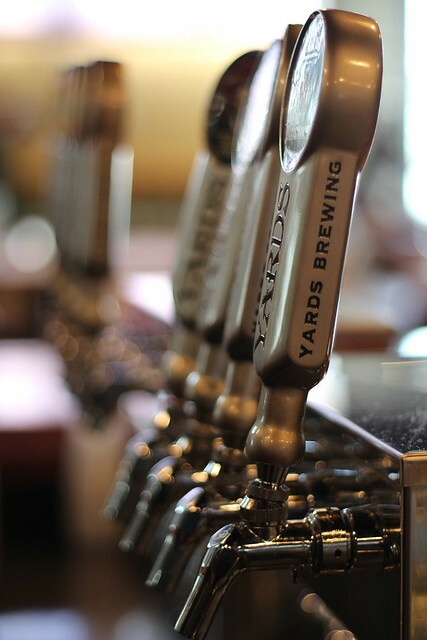 Yards is an awesome brewery and a must for anyone who is into beer or looking to do some site-seeing in Philly. 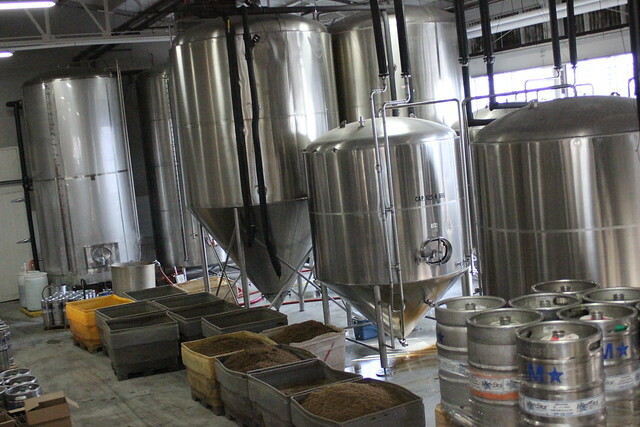 We had a great time checking out the facility and sampling all the brews they have to offer. Thanks to Stephen, Tom, and all the staff we met yesterday. You can stay up to date with Yards on their facebook and website for news and information on up-coming events.